Visitors who want to experience the Outer Banks of centuries ago, or get an up-close view of the distinctive black and white diamond patterned Cape Lookout Lighthouse can simply hop aboard a ferry from Harkers Island to the Cape Fear National Seashore, and turn a typical day at the beach into a unique and entertaining adventure. The ferries to the Cape Lookout Lighthouse are typically passenger ferries, which run seasonally, from around 7:30 a.m. until 8:30 at night, depending on the time of year and local weather conditions. 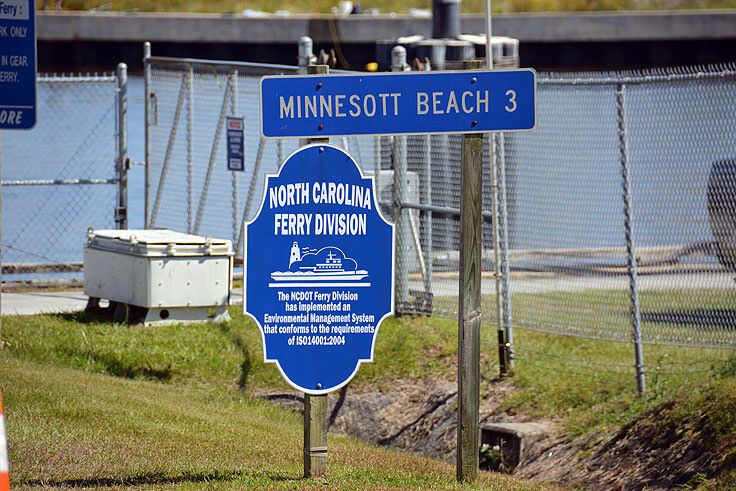 Between early April to mid-December, most ferries run every hour or so from both the barrier island destination and the Harkers Island port o' call. Once on the island, visitors will find cabin rentals available through the National Park Service (NPS) in addition to "Beach Shuttle" services, which are 4WD vehicular taxis that can drive visitors around major portions of the seashore. Cape Lookout National Seashore, including the Shackleford Banks which are located across from Beaufort, are only accessible by boat or ferry, and as such the services on these islands are very limited. There are no paved roads of any kind, no vacation homes or businesses, and limited restrooms, with a lone Visitors' Center operated by the NPS. As such, visitors are advised to carry along anything they'll need for a full fun day in the sun, especially sunscreen, bug spray, plenty of water, snacks and / or a picnic lunch, coolers, and any other beach-worthy equipment. As a result of their efforts, however, visitors will be rewarded with a beach experience unlike any other on the Carolina coastline. Mostly deserted, seasonal travelers can climb the Cape Lookout Lighthouse for a small fee in the summertime, and enjoy incredible views of the Cape Lookout National Seashore and the mainland located 5-10 miles away. 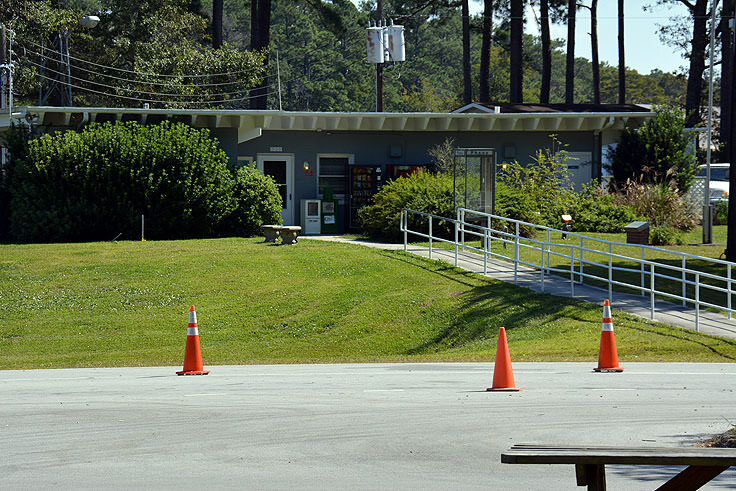 A lighthouse Visitors' Center is also located on site, with park rangers on hand to answer questions and provide information on the 163' foot historic structure. Built in 1950, the current lighthouse is the second lighthouse to stand at this location. (The first lighthouse, which was built in 1812, proved to be too short to be effective for ships passing through the dangerous Diamond Shoals.) The current lighthouse was completed in 1861, and was painted its distinctive black and white diamond facade in 1873 to make it unique among the half dozen lighthouses along the Outer Banks. A Keepers' Quarters Museum is also located on site, featuring artifacts from the original light station keepers that helped keep the coastline safe and traversable. While the Cape Lookout Lighthouse is certainly the star of the beach scene, it is by no means the only attraction along this stretch of shoreline. Fishermen come from all across the East Coast for Cape Lookout's exceptional surf fishing, especially in the spring and fall months when the drum runs are rushing along the coast, and fishing for big game is at its best. The area is also known as one of the most fruitful shelling locations on the Eastern Seaboard, with rare finds washing onto the uncrowded beaches on a daily basis, from as far away as Rhode Island and Florida. Shell pickers should be on the lookout for lightning, knob and channeled whelks, small Florida Fighting conchs, sand dollars, helmet conchs, and perfectly intact Scotch Bonnets, one of the rarest coastal finds, despite its distinction as the North Carolina state shell. Of course, all manner of beach activities are welcome here, from sunning to sandcastle building to body boarding, to just relaxing in a comfy and portablebeach chair and admiring the waves. Ferry reservations should be booked well in advance and can be secured online via the NPS website at http://www.nps.gov/calo/planyourvisit/ferry.htm. 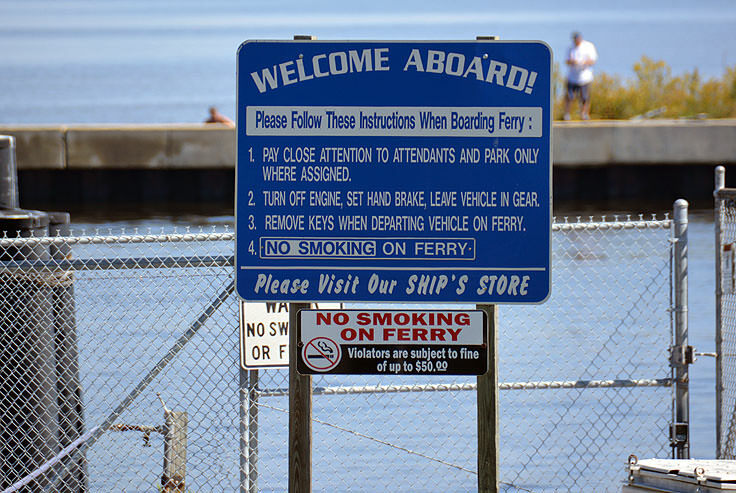 Several vehicular ferries also access the area, from the neighboring towns of Atlantic and Davis, and can accommodate 4WD trucks and other passenger vehicles. Rates run around $10-$20 for passengers, and $75 - $80 for vehicles. Pets may be permitted, and visitors are advised that the ferries are cancelled during extreme weather conditions. 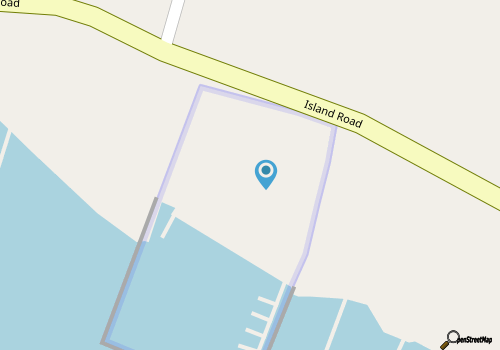 Motels and cabins may also be available on "mainland" Harkers Island as well at other local marinas and other privately owned businesses. Above all else, visitors should make sure to secure their reservations as soon as possible, and also pack everything they will need for an afternoon, a full-day, or a long weekend stay at the deserted seashore. A ferry ride to Cape Lookout is just the ticket for visitors who crave an unspoiled and undeveloped stretch of shoreline that enjoys limited beach traffic, and incredible coastal views. Home to the isolated and famed Cape Lookout Lighthouse, as well as some of the best shelling and fishing in North Carolina, the Cape Lookout National Seashore is a must-see destination for anyone who craves a rustic, scenic, and altogether unforgettable seaside adventure.